 Public Lab: Can you use rubbing alcohol or nail polish remover for prepping copper for Hydrogen Sulfide test? Question: Can you use rubbing alcohol or nail polish remover for prepping copper for Hydrogen Sulfide test? @Zengirl2, I think for the best results you'll want to use acetone, which is easy to find online and in a lot of drug stores and art stores (and maybe even home improvement stores). Acetone is ideal because it is miscible with water and with oil, so it cleans away a variety of kinds of grime. It also dries the surface of the copper since it will dissolve with water and then evaporate. Having a dry surface is probably important to reduce the rate of oxidation of the copper (which I assume, based on electronegativity, interferes with its reactivity with sulfur). Isopropanol has pretty similar properties, but the commonly available rubbing alcohol in drug stores is 70% isopropanol and 30% water. So, that mixture is less effective both at removing any oils, and at leaving a dry surface. You could try both acetone and rubbing alcohol and see if you observe any differences in their effects on the copper. Hi, Gretchen, what does "miscible with water and with oil" mean? Is it related to what @matej and others learned about the ability to dissolve oil residues in isopropyl rubbing alcohol? Hi @warren, "miscible" means it dissolves with them to create a homogenous mixture (i.e. doesn't separate out like oil and water do). Acetone is a super useful solvent in a lot of laboratory chemistry methods because it is one of a few liquids that has enough polarity to dissolve with water, and enough non-polar bonds to dissolve oils. TY for this answer. I'm giving out copper strips at the Factory Farm Summit and hopefully people will be able to share results with us! Is nail polish remover just acetone, and is it pure enough for this? https://www.amazon.com/Super-Nail-Pure-Acetone-fl/dp/B009SDJQCI - ~$5 per bottle, though we should probably not mail this around as part of a kit? Leslie, do you think you could add "or nail polish remover" to the title here so we can sort of hit two birds with one stone in the Q&A for the project? Thank you!!! @gretchengehrke will know about the nail polish remover. Unfortunately my nail polish remover is not the standard fare since it is made for the lighter stuff sold at Whole Foods ha! Hi, @gretchengerhke - would acetone melt nitrile or latex gloves? I'm thinking of how to ship some things like cotton scrub pads and safety gear with these kits. 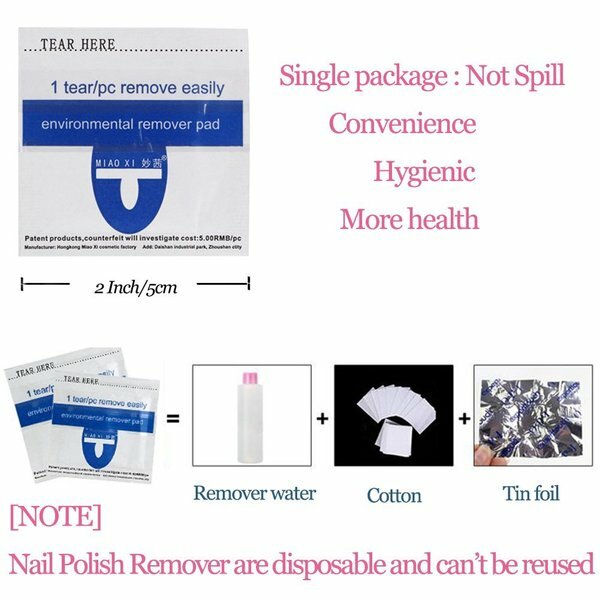 Just a note that we'd looked at some single-use acetone nail polish removing pads, because people wouldn't necessarily need a whole bottle -- but at one pad per day per copper piece, that'd get used pretty fast. If these work to clean the copper plates, they could make it much easier to make/send acetone with kits than sending bottles. @bronwen - i had also thought of buying a larger bottle and separating it into smaller containers, but the fumes would have to be awful, no? I was thinking we might try out the wipes and compare/contrast the results to avoid that, but you're probably right that we could find a well ventilated area to do that in. I think you have to aim to be in a well ventilated area for pads too: pouring acetone might not be too terrible depending on what kinds of bottles you're dispensing to/from, but in general it's not great for you (even in regards to skin contact, which is why there are so many non-acetone containing nail-polish removers out there). I suppose for me it's about scale: packaged wipes might be simpler for sending with kits, but bottles of acetone (which a lot of people have around for all kinds of reasons) would be cheaper for any kind of ongoing project, I would assume. Isopropanol has pretty similar properties, but the commonly available rubbing alcohol in drug stores is 70% isopropanol and 30% water. What if we bought 99% rubbing alcohol? Would that be enough? This would make a difference to both the kit cost and its safety. What do you think? I think it probably depends somewhat on what we need the cleaning agent to do: alcohol and acetone work a little differently, and acetone will likely do a more thorough job on any residual oils or plastics, but it's possible that alcohol will accomplish the job well enough. Alcohol is definitely less volatile and less toxic for a handler. It looks like both are permitted to ship via USPS in limited quantities, but from the store perspective we should investigate whether we'd be required to ship in unopened/manufacturer-sealed containers, or if decanting into smaller containers is ok. Either acetone or 99% isopropanol are probably fine, and maybe we should do a comparison. The only concern I see with isopropanol is that it has a lower vapor pressure than acetone, meaning it is less volatile and will take longer to dry. This can facilitate corrosion, since moisture in the air can dissolve in the isopropanol. Oxidation of copper is enhanced under moist conditions, so I think we might run the risk of that. However, I think it's worth experimenting! We won't know until we try. Also, I just saw on comptox.epa.gov that acetone is actually more hydrophilic than isopropanol, which totally surprises me! I guess vapor pressure must really be the main driver of why acetone is a more common degreaser. Can the link to the KAP Kite Comparison table be updated?